by Jim Searcy, BSME, P.E. Between 1999 and 2007, the list of QUALIFIED signatories grew gradually, without a special campaign. Between October 2007 and March 2008, a new campaign for signatures was initiated. The majority of the current listed signatories signed or re-signed the petition after October 2007. More will be found at the end of this article. in his fiction Movie has been PROVEN FALSE. on page 14 of that book which one may read at this link. Click here for the HORSEFEATHERS Song. Finally, after 20 years, we can see the evidence, and there is conclusive proof that CO2 related global warming is FRAUD. 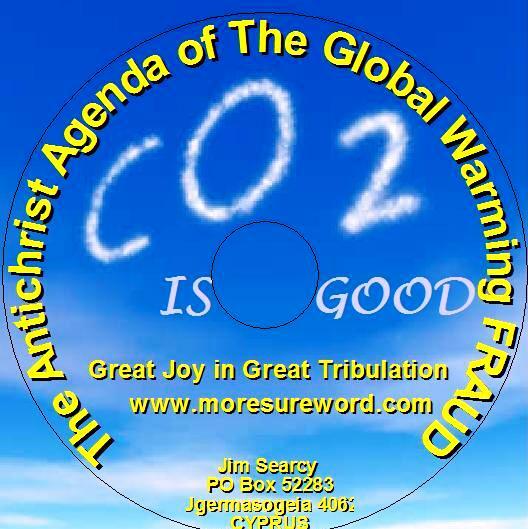 The idea that CO2 causes global warming is nothing but antichrist agenda HORSEFEATHERS. The vindication of correctly calling CO2 related global warming an antichrist fraud is official. The historical record of atmospheric carbon dioxide, (CO2), concentrations, claimed by Al Gore and the Intergovernmental Panel on Climate Change, (IPCC), regarding WHY emission of CO2 MUST be reduced, is 100% PURE FRAUD. from 1975-1998, as the three magenta trend-lines demonstrate. have had any significant influence on temperature. Therefore there is NO anthropogenic signal in the global temperature record. that the warming rate is accelerating. represents a pictorial LIE, deliberately intended to DECEIVE. fudged CO2 ice core data. Professor Beck has for a long time been reviewing more than 90,000 accurate chemical analyses of CO2 in air since 1812. The historic chemical data reveal that changes in CO2 track changes in temperature, and therefore climate in contrast to the simple, monotonically increasing CO2 trend depicted in the post-1990 literature on climate-change. Since 1812, the CO2 concentration in northern hemispheric air has fluctuated exhibiting three high level maxima around 1825, 1857 and 1942 the latter showing more than 400 ppm. WHO IS WATCHING THE COOKIE JAR ??? A tiny clique of politicized scientists, paid by unscientific politicians with whom they were financially and politically linked, were responsible for gathering and reporting data on temperatures from the palaeoclimate to today’s climate. The “Team”, as they called themselves, were bending and distorting scientific data to fit a nakedly political story-line profitable to themselves and congenial to the governments that, these days, pay the bills for 99% of all scientific research. America's largest university meteorology department is at Penn State University. Professor Michael Mann is employed as professor of meteorology at Penn State. Professor Michael Mann has recently been exposed for 'tricking data' in CRU documents recently released in what is now known as Climategate. Mann is responsible for developing the famous hockey stick diagram of historical global temperatures used in Al Gore's Inconvenient Truth. 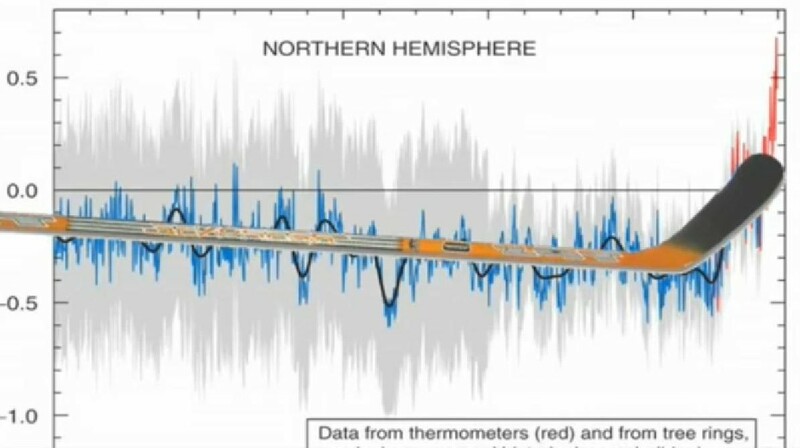 This was designed to highlight abrupt warming in the past century that looks like a hockey stick on a timeline. WE NOW KNOW THAT IS NOT TRUE. The diagram is PURE FRAUD. Michael Mann's fudging, or trick, or LIE, made parts of past climate data history of extremes seem to disappear. Michael Mann's falsification of historic climate data was intentionally done to exaggerate any warming in recent years. Those at East Anglia University, UK, (CRU), have admitted throwing away much of the raw temperature data, thereby making it IMPOSSIBLE for anyone to check, verify, prove or disprove, the basic calculations, which have been presented to IPCC bureaucrats to show long-term climate temperature warming over the past 150 years. Once Tim's got a diagram here we'll send that either later today or first thing tomorrow. I've just completed Mike's Nature trick of adding in the real temps to each series for the last 20 years (ie from 1981 onwards) amd from 1961 for Keith's to HIDE THE DECLINE. (emphasis added) Mike's series got the annual land and marine values while the other two got April-Sept for NH land N of 20N. The latter two are real for 1999, while the estimate for 1999 for NH combined is +0.44C wrt 61-90. The Global estimate for 1999 with data through Oct is +0.35C cf. 0.57 for 1998. Where I attended university to obtain a degree in science, that old school taught that HIDING, or FUDGING, the results to make them DIFFERENT than the data prove, or CHANG & HIDE the TRUTH, was a BIG NO NO. On Dec 1, 2009, we got the news that Professor Phil Jones has agreed to step down from his position at the Climate Research Unit, (CRU) that supplies the science falsely so-called for the UN bureaucrats at the IPCC. There is a TRUE scientific consensus. It should be universal, but it is 15 to 1, thus proving 1 of 16 scientists can be deceived, deceiving, deceivers themselves. 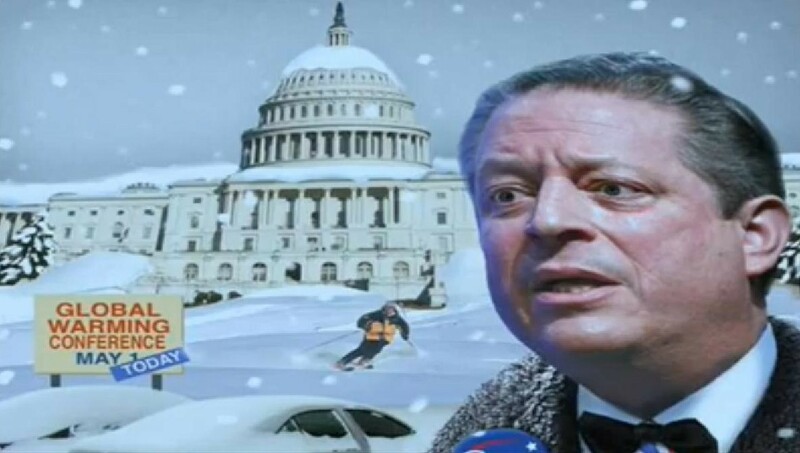 IT IS THE HEAT SOURCE STUPID should ring a bell for Al Gore and all his deceived followers. How ironic that the self-proclaimed "inventor of the internet" could be brought down and finally exposed for the fraud that he is, by some hackers using the internet he once said he invented. It is not what is being warmed or cooled the makes the difference. CO2 HAS NOTHING TO DO WITH GLOBAL WARMING. All Anthropogenic Global Warming proponents could just as well spend their time and efforts trying to blow out the sun. The true scientific consensus is at least 15 to 1 in affirming and confirming the truth that CO2 has NOTHING to do with global warming. All the "tricks" to support a "global warming" scam have now been exposed. It is an "Inconvenient Truth" that all of the "Global Warming" proponents have been DECEIVED, DECEIVING, DECEIVERS, all along. Therefore the liars for hire, falsely so-called scientists, must NOW "Hide the Decline" in the climate temperature for this earth has actually COOLED since 1998. The debate which was never allowed is over. 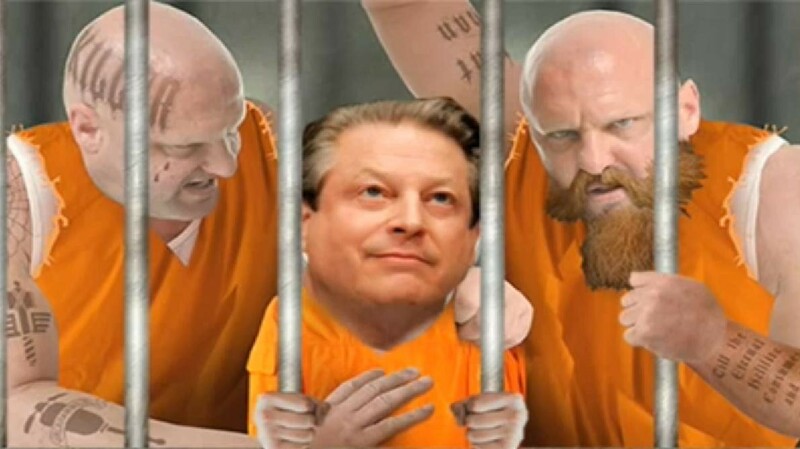 The falsely so-called scientist liars for hire scamsters have been hired to help Al Gore and his partners at Kliner Perkins who expected to make a fortune on Cap & Trade and Carbon taxing laws. Remember, always FOLLOW THE MONEY!!! Now the proof is in that CO2 related GLOBAL WARMING is PROVEN FRAUD. The proof and evidence of the FRAUD came with the recently hacked or leaked emails exposed from within the Climate Research Unit, (CRU). The general tone of the emails is one of fraud and conspiracy. The leaks demonstrated that many insider scientists were conspiring to block publication of dissenting views in peer-reviewed journals, that there was data-fudging, and deliberate evasion of Freedom Of Information requests, perhaps even including deliberate destruction of data. The computer models themselves have already been shown by many computer programmers reviewing the leaked information, to be RIGGED, not just flawed. These CRU files describe a subversive effort to corrupt climate data, control what papers appear in the scientific journals, trashing reputations of those who disagree, and even getting scientists fired, simply because they disagreed with the FRAUDULENT theory. That the emails, source code, and data is GENUINE has already been ADMITTED by the sources of the emails, codes, and data. The genuineness of the PROOF has been verified by several individuals with direct involvement in the emails, from both sides of the argument, that the information is genuine, which PROVES the Anthropogenic Global Warming to be 100% PURE FRAUD. The CRU team began to produce work that contradicted the established picture in 1990 - and CRU was able to do so from both ends. By creating new temperature recreations, it could create a new account of history. By issuing a monthly gridded temperature set while making raw station data unavailable for inspection, it defined contemporary data. So CRU controlled two important narratives: the "then", and the "now". 1) The antichrist prince of the power of the air, who will soon be indwelt by the father of lies, Satan himself, says that laws to reduce CO2 is the single most important issue that all governments MUST IMMEDIATELY act upon. HORSEFEATHERS. 2) Such action will bring the starvation of literally hundreds of millions of people because all plant life grows from use of the CO2. Plants take out the Carbon for the plant's growth and give back Oxygen, which all animals need to breathe. Wonderfully smart how God set it up that way. 3) CO2 has NOTHING to do with global warming. 4) Global warming is totally dependant upon the heat source, the sun. The sun goes through normal predictable cycles of increasing and decreasing sun spot or solar radiation activity on an approximately 11 year cycle. 4) If global warming from CO2 were true, and it is NOT, but if it were true, the melting of the polar ice caps will NOT raise the sea level. Prove this to yourself quite simply. Fill a glass with ice cubes, then carefully fill the glass with water until it is brim full. Watch what happens when the ice floating above the brim full glass melts. The water level in the glass will go DOWN. Yes, this is definitely one to try at home, and have another laugh at Al Gore, the antichrist prince of the power of the air, and the liars for hire falsely so-called scientists at the CRU and IPCC. 5) For the last 16 years we have had NO global warming. 6) For the last 9 years, though the CRU and IPCC have been doing their best to hide the decline, the truth is that we have experienced GLOBAL COOLING for the last 9 years. 8) True science says global warming is a FRAUD, designed to advance the antichrist global controller agenda. 9) Adding $5,000 to everyone’s annual electric bill in CO2 taxes, and another $5,000 per year on auto fuel taxes, to cut CO2 emissions by half WILL NOT REDUCE THE CLIMATE TEMPERATURE BY A SINGLE DEGREE. Cutting CO2 emissions, even eliminating them all together, will NOT effect Climate temperature one whit. Total elimination of CO2 emissions on Climate temperature will have NO effect on Climate temperature, ZERO, ZIP, NADA. At the same time hundreds of millions will starve, and billions who now live comfortably, will be reduced to abject poverty. 10) Garbage in yields garbage out. The planned Luciferian antichrist garbage output of lies to tax, control, kill, and destroy has been the planned garbage output fraud scheme of this science falsely so-called from the beginning of global warming antichrist politics. Here is another good home experiment that most never need to do, but can think this through to perfection without even having to run the test. Someone should tell Al Gore and all of the rest of the people who think CO2 causes global warming to try this. Take 2 IDENTICAL cardboard boxes. One has just air in it. And the other has more than 50% CO2. Wire a 100 watt incandescent light bulb in each box. Which one will warm faster and/or get hotter? You got it right - both the same. Plus you do NOT have to worry about the CO2 filled box catching on fire. IT IS THE HEAT SOURCE STUPID. The CO2 has NOTHING to do with it. IT IS THE HEAT SOURCE STUPID. Al Gore will like the ring to that one being part of the Bill Clinton administration. Remember, Lucifer's commandment Number One, is to kill and/or reduce the population of earth from above 6.7 Billion people to just one half billion people. That means, according to the top priority of Luciferians like Al Gore, Hillary, and Obama, that 93% of the people on this planet have got to go. Now, if Al Gore and his Luciferian fellow travelers plan to kill over 6 BILLION people, what hesitation would such Luciferians have, to promote a few lies of falsely so-called science? Yes, you probably have figured that the Bush-Clinton-Bush syndicate of sudden destruction, including Hillary, and Nobel prize winners Al Gore & Obama, intend to start that killing of 93% of all of the people with those "not authentically human" Jews and REAL Christians. What is Google doing about CLIMATEGATE? to pick up his Nobel Prize as Gore had done before him. Did Google get Obamaed or did Obama get Googled? Professor Beck’s work confirms an abundance of previous investigations which demonstrate that the IPCC picked its data in a selective and fraudulent manner to attempt to prove that we must stop industrial development, and return to pre-industrial revolution age ways of living, (for all but the elite Luciferian global control freaks), or else face oppressive heat and melting of the polar ice caps. It shows that the Kyoto Treaty on reduction of greenhouse gases was based on a scientific FRAUD, which violates the laws of the universe, denying the well-established determination of climate, by cyclical variations in the Earth-Sun orbital relationship, and in the Sun’s radiation output. In a thorough review of 175 scientific papers, Professor Beck proves that the founders of modern greenhouse theory, Guy Stewart Callendar and Charles David Keeling, Al Gore’s favorite, had completely ignored the true scientific and systematic measurements by some of the most famous names of physical chemistry, including several Nobel chemistry prize winners. Measurements by these chemists showed that today’s atmospheric CO2 concentration of about 380 parts per million (ppm) have been EXCEEDED in the past, including a period from 1936 to 1944, when the CO2 levels varied from 393.0 to 454.7 ppm. There were also measurements, accurate to within 3%, of 375.0 ppm in 1885, 390.0 in 1866, and 416.0 in 1857 and 1858. Ironically, although the 1940s increase correlated with a period of average atmospheric warming, Beck and others have shown that the warming came BEFORE the increase in CO2 concentrations. You may find verification of these scientific records at - http://www.21stcenturysciencetech.com - under topic Global Warming. The data reviewed by Beck came from all over the northern hemisphere from rural areas or outside of towns without contamination by industry, at a measuring height of approximately 2 meters above ground. Evaluation of chemical methods revealed a maximum error of 3% down to 1% in the best cases. By contrast, the measurements of the global warming fraud team, taken from ice cores, show a rather steady increase in CO2 levels. That is the reason for this STRANGE measuring concept, because of the way one may conveniently fit the data so derived, to correspond to the PRECONCEIVED idea that increasing industrial activity has produced a steady CO2 increase. According to the greenhouse warming theory, the increase of atmospheric CO2 concentration caused by human activity, such as burning of fossil fuels, acts like the glass in a greenhouse to prevent the re-radiation of solar heat from near the Earth’s surface. Although such an effect exists, carbon dioxide is low on the list of greenhouse gases accounting for, AT MOST, 2 or 3 percent of the greenhouse effect. By far the most important greenhouse gas is water vapor. However, water in the form of clouds can reflect back solar radiation, causing temperature reduction. There are so many interrelated effects, that correlating global temperature to CO2 concentration is about like trying to predict how many inches of rain you will have next year by counting the number of toothpicks in your toothpick holder. To fabricate a convincing case of such an interrelationship requires a great deal of sophisticated LYING. According to Professor Beck, Dr. Jaworowski, and many other reputable scientists, the greenhouse theorists have been CAUGHT at an absurd SCAM. Now the hacked internal emails from the group of liars for hire in the CRU, prove the global warming FRAUD absolutely. Our modern understanding of photosynthesis began when Jan Baptist van Helmont began to weigh a plant and its soil before and after growth. Van Helmont discovered, way back in about 1620 AD, that the SOIL supporting a willow tree, which had grown to 169 pounds in five years, had changed weight by less than a few ounces. So where did the tree get all that weight and size increase from, if it was measurably confirmed, that it did NOT come from the soil? Though Van Helmont mistakenly had concluded that the plant’s mass had come solely from the water applied, by about 1850 AD, it was proven fact that the mass of the plant comes from the invisible, and seemingly weightless air, particularly the carbon dioxide contained in the air. Unfortunately for Al Gore, the Luciferians, the antichrist prince of the power of the air, and the liars at the IPCC, the measurement of atmospheric CO2 concentration had been a special focus of chemists since that early 19th Century. There has been very much study and good scientific historical research and data collection, to understand the process of photosynthesis. 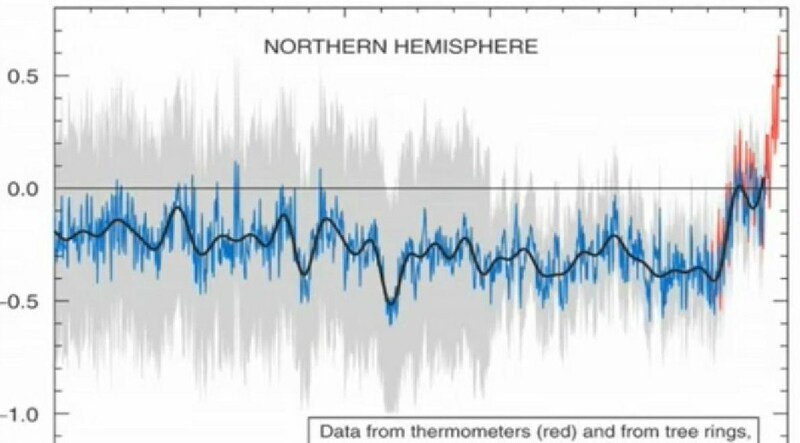 These carefully recorded measurements of CO2 are a matter of long standing record to put great light of truth upon this last day Luciferian antichrist fraud. How many might have put their emotional energy into getting likes of Obama, Hillary and Al Gore elected because they want to do something to stop global warming? Will they be angry when they realize how they have been deceived by the very ones they were working so hard to promote? In any discussion of global warming, either in the scientific literature or in the mainstream media, the outcome is always predetermined. 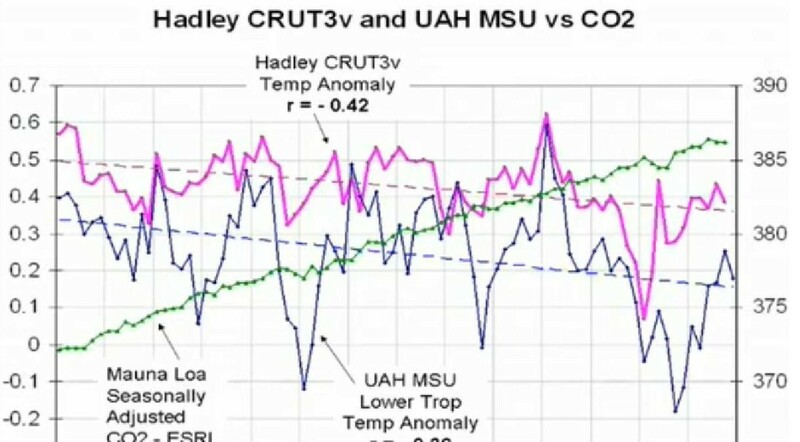 There is now extensive evidence of the Climate Research Unit (CRU) blatant FRAUD. They have effectively ripped off the peer review process to enforce the CRU fraudulent global warming dogma. Peer review is the practice of subjecting scientific papers to review by other scientists with relevant expertise before they can be published in professional journals. Peer review has, except for the global warming issue, been the normal way of confirming or challenging any scientific theory. There is extensive evidence of FRAUD within the CRU. The CRU has bullied the entire peer review process to prevent any legitimate challenge, or criticism, or exposure of the CRU fraudulent manipulation of the data. One can also see from these e-mails the scientists' panic at any dissent appearing in the scientific literature. Not content to block out all dissent from scientific journals, the CRU scientists also conspired to secure friendly reviewers who could be counted on to rubber-stamp the CRU work. Phil Jones suggests such a list to Kevin Trenberth, with the assurance that "All of them know the sorts of things to say...without any prompting." Professor Beck’s proof of the Al Gore global warming scam, seems to have been poufed off of the internet. We have obtained a copy without his charts, and do have a copy of the most significant chart in his unofficial extract of E-G Beck's comprehensive draft paper that really nails this Luciferian CO2 global warming scam. If you have need of that proof, it could be emailed to you in an attachment file. The Word of God agrees with the more than 31,000 scientists who have signed a petition circulated by the Oregon Institute of Science and Medicine saying, in part, “there is NO convincing scientific evidence that human release of carbon dioxide, methane, or other greenhouse gases is causing or will, in the foreseeable future, cause catastrophic heating of the Earth’s atmosphere and disruption of the Earth’s climate.” Only those with legitimate degrees in SCIENCE, B.S., M.S., Ph.D’s from accredited universities are allowed as signers of the petition. Compare that with the 2500 liars for hire at the IPCC. If there is a genuine scientific consensus that consensus is 15 to one that CO2 has absolutely NO effect on Climate temperature and that the true scientific evidence says that increases in atmospheric CO2 produce many beneficial effects upon the natural plant and animal environment on planet Earth. The Word of God also agrees with the similar skepticism of surveys of climatologists that increasing CO2 levels would be anything other than an INSIGNIFICANT cause of global warming. The most reliable sources of temperature data agree with the Word of God in showing no global warming trend. According to the Word of God, which true science can not help but verify, global warming WILL HAPPEN WITHOUT ANY TREND. Global warming will happen and there is ABSOLUTELY NOTHING THAT ALL THE PEOPLE OF EARTH CAN DO TO PREVENT IT. It will happen without trend, and without precedent. It is the devil and his antichrist Luciferian global control freaks, which want all men to be deceived regarding its cause and certainty. God’s people, who KNOW what God said about global warming, will NOT let their heart be troubled about it. God’s people will KNOW that ALL people with all their machines running, or shut down, can have absolutely NO effect regarding global warming. God’s people will KNOW man has NO capability whatsoever to prevent it or change the more sure word, which is written on the issue. God’s people will KNOW NOT to be moved by fear of it, but will be moved by faith, and even see their faith be confirmed by it. The Word of God and true science and economics prove the folly of the Kyoto Protocol. Efforts to quickly reduce human greenhouse gas emissions would be VERY costly and will NOT effect the Earth’s climate. Reducing U.S. carbon dioxide emissions to 7 percent below 1990’s levels by the year 2012, the target set by the Kyoto Protocol, would require HIGHER energy TAXES and regulations causing the nation to lose 2.4 million jobs, and $300 BILLION in annual economic output. Average household income nationwide would fall by $2,700, and state tax revenues would decline by $93.1 billion due to less taxable earned income and sales, and lower property values. Full implementation of the Kyoto Protocol by all participating nations would reduce global temperature in the year 2100 by ZERO, ZIP, NADA. It is FOLLY, pure folly to lose 2,400,000 American jobs, and take $225.00 per MONTH out of EVERY household in America for 0 degrees in Climate temperature change? FOLLY, pure Luciferian globalist political fraud and FOLLY, is the right description of the Kyoto Treaty or Protocol to control of CO2. Incredibly, most states nevertheless persist in backing unnecessary and expensive greenhouse gas reduction programs. New Jersey, for example, collects $358 million a year in utility taxes to fund greenhouse gas reduction programs. Such programs will have NO impact on global greenhouse gas emissions. All they do is destroy jobs and waste money. The BEST strategy regarding global warming is to KNOW what God said about it, and believe what God said. The alternative to demands for immediate action to “stop global warming” is to tell the people who would rather believe Al Gore and his fellow traveler Luciferians is: That if they give up their homes and convince every other person on earth to run no machines, and even if they have every human being on earth sacrificed in the guillotines of the global antichrist Luciferian control freaks, it will have absolutely NO effect on global warming. Yes, global warming is coming SOON. Yes, it is very real and there is NOTHING that all the people united together on planet earth can do about it. The wise will understand. The wicked will just plane NOT get it. Here is the truth of God on the soon coming global warming, and if anyone is foolish enough to think that all the people on planet earth can do ANYTHING to stop it, tell them whatever they think to do, makes no more sense than for them to try to blow out the sun. Reducing CO2 emissions to stop global warming is FOOLISH. It makes as much sense as all the people on earth to point their faces at the sun and blow real hard to try to blow out the sun. FOOLISH. FOOLISHNESS. Here is the TRUTH about the soon coming warning, and why all the efforts of every human on earth CAN NOT stop it, or prevent it. This last word from the Word of God regarding the truth of the soon coming global warming should illustrate how foolish, and ungodly it is, for anyone to either worry about it, or even more foolishly, presume to think that all of the people on earth giving every thing they had, including their lives, and the lives of their families could prevent it. Yes, this is the truth about global warming, man can do NOTHING to stop or prevent it. God said so, He has the power, and all the puny men, and all their demons, have NO power to change what God said He would send His angel to do. So if you are worried about global warming try blowing out the sun until you get sense enough to turn in repentance, and faith in the Lord Jesus Christ. When one finds someone worried about global warming, one finds ignorance, and more often than not, foolishness. When one finds a so-called Christian pastor worried about global warming it is a shame. Perhaps those whose pastor is concerned about global warming should obey the command of the Lord in Rev 18:4. Moreover, the current totals of 31,486 signers, including 9,029 PhDs, are limited only by Petition Project resources. With more funds for printing and postage, these numbers would be much higher. The Petition Project was organized by a group of physicists and physical chemists who conduct scientific research at several American scientific institutions. The petition statement and the signatures of its 31,486 signers, however, speak for themselves. The primary relevant role of the organizers is that they are among the 9,029 PhD signers of the petition.